Fiat is kicking off 2019 with an important debut for the all-new Tipo line-up, that today features three models (4-Doors, 5-Doors and Station Wagon) and four trims (Street, Mirror and the new S-Design and Sport), capable of satisfying the needs of customers of all ages, tastes and mobility needs. The two new verions are S-Design and Sport, this last one developed in conjunction with Mopar (Moper develops a number of complementary and tuning components for Dodge and RAM), dedicated to young and dynamic motorists who want a car with a distinctive personality and a sporty character are being introduced, joined by the Mirror and Street trims. The first is aimed at families who are focused on connectivity. It stands out for the new Venezia Blue livery, chrome-plated accents and the UconnectTM 7" HD LIVE touchscreen, which is Apple CarPlay ready and Android Auto™ compatible. 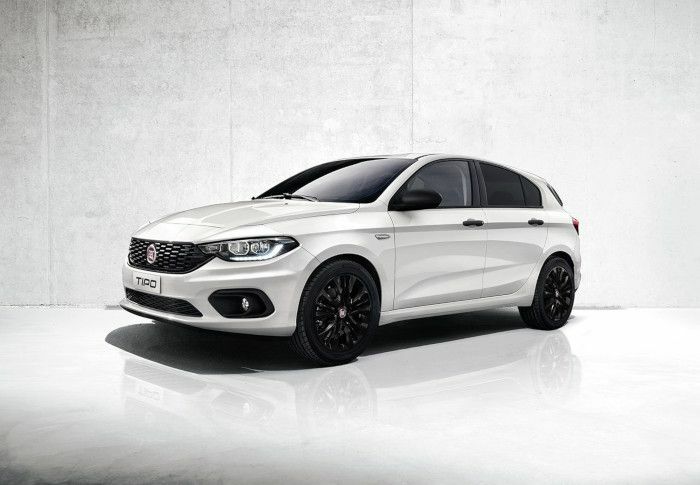 The Fiat Tipo Street on the other hand offers the combination of attractive style with the typical roominess and comfort of the Tipo range - great contents at an affordable price. In short, there are all the ingredients to continue the success story of the all-new Tipo line-up. Not by chance, Tipo is the leader in its segment in Italy and in the top ten in seven European countries. Furthermore, it is the second most global Fiat model with over 70% of all cases sold outside Italy. Its success started soon after its launch, as demonstrated by the prestigious "Autobest - Best Buy Car 2016" award it received from a panel of some 30 journalists from Europe's most important automotive magazines. It is a global model that embodies the time-honoured concepts which is typical of Fiat - functionality, simplicity and personality. In 2017, for example, a standard production car went around the world in 133 days, travelling 41,000 kilometres in 400 hours, with no need for supplementary technical servicing. 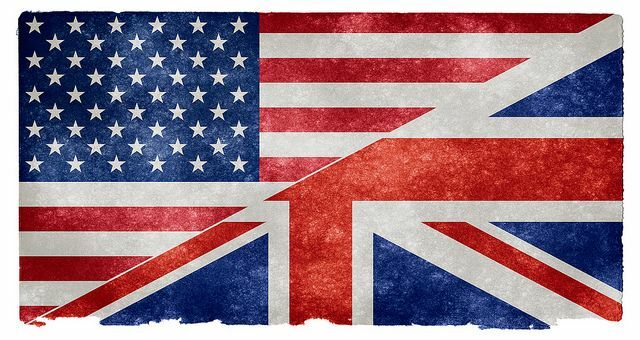 The exploit touched 22 countries and 122 cities and arousing curiosity and unanimous appreciation wherever it went. 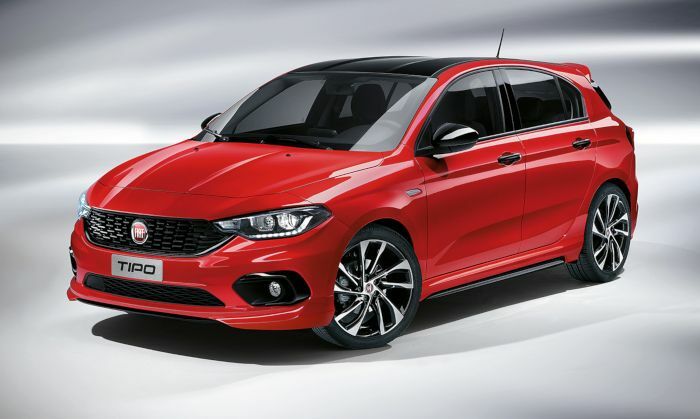 Based on the new S-Design version, the Fiat Tipo Sport is being introduced with a very sporty outfit. A host of dedicated and exclusive design elements emphasise its dynamic style. 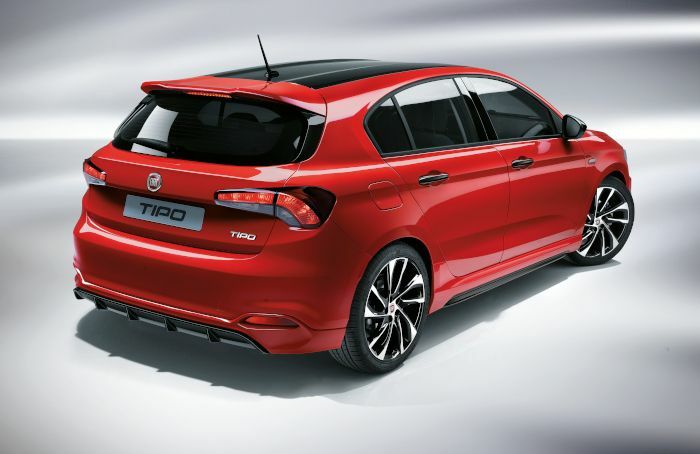 The Sport trim level is available only on Tipo 5-Doors and transforms the S-Design into a very distinctive top-of-range version courtesy of sporty new front and rear bumpers, side skirts and new fog light bezels. The rear diffuser together with the spoiler on the roof are a further reference to the racing world and complete the dynamic look of the new version. The new Tipo S-Design boasts an even bolder character, which is one of the most striking is the alluring Passione Red livery paired with contrasting black roof (optional) that complements the current Metropoli Grey, Cinema Black, Gelato White and Colosseo Grey palette. The exteriors are characterised by a large Glossy Black grille embracing the entire front and the headlights which, on demand, add Bi-xenon technology guaranteeing 30% better performance compared to standard versions. The Glossy Black style is picked up on the 18-inch alloy wheels with diamond-cut finish on the air intake profile and rear-view mirror cups. Tinted rear windows complete the outfit. Inside, the passenger compartment is even sportier with an exclusive Total Black ambiance that is the perfect setting for the leather and fabric seats with embellished double-stitched seams and cross-pattern techno-leather upholstery on steering wheel and gear lever knob. The engine line-up of the new Tipo Sports and S-Design has also been expanded with the 1.4-litre 95 HP petrol engine and the 1.3-litre Multijet 95 HP joining the current 120 HP 1.4-litre T-Jet and the 120 HP 1.6-litre Multijet, the latter also with automatic transmission DCT. Finally, on both versions, connectivity is standard with UconnectTM 7" HD LIVE touchscreen, which is Apple CarPlay ready and Android AutoTM compatible with Android Auto, Google Play and Google Maps. 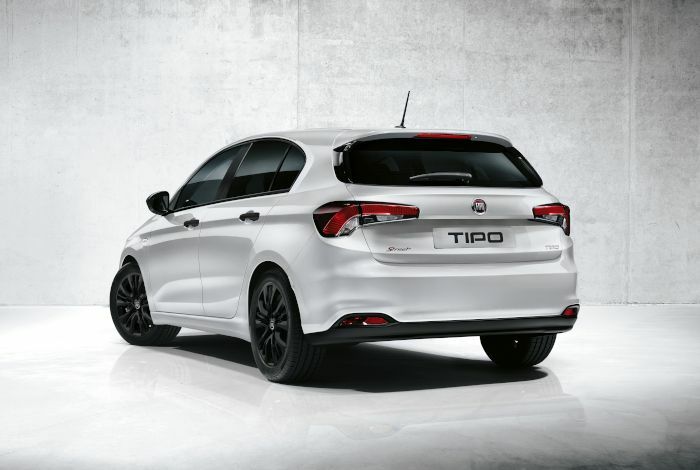 The Fiat Tipo Street is targeted to young customers who want their car to be dynamic, stylish and accessible. The new Street version, strong of its Pop personality, adds new 16-inch glossy black alloy wheels, tinted privacy windows and contrasting dark details, on mirror caps, grille and external and internal door handles. The bold gaze of the DRL LED headlights and the dedicated badge consolidate the Street character of this trim. The full pack as a whole enhances the balance of Italian design, guaranteeing personality and style without skimping on functionality. In every way, the Tipo is welcoming and practical, and the Street version adds a touch of dynamism to these well-known features. In other words, it combines the attractive style, roominess and comfort of a higher-segment mid-size sedan with the accessibility of an affordable price. With its specific features and exclusive colour combinations, the Tipo Mirror is the perfect combination of Tipo technology and style. Connectivity is standard with UconnectTM 7" HD LIVE touchscreen which is Apple CarPlay-ready and Android AutoTM compatible. Tipo Mirror is also style. The exclusive, new Venezia Blue livery, available on demand, is making its debut and perfect for setting off a host of alluring chrome details, such as doors handles, side mouldings, lower grille profile, fog light bezels and mirror caps. A special "Mirror" badge on the pillar and diamond-cut 16-inch alloy wheels complete look. The Fiat Tipo in Germany is available with the following equipment levels: STREET (€ 15,790*), MIRROR (€ 17,290*), LOUNGE (€ 18,790*), BUSINESS LINE (€ 20,590*) and S-DESIGN (€ 21,790*). 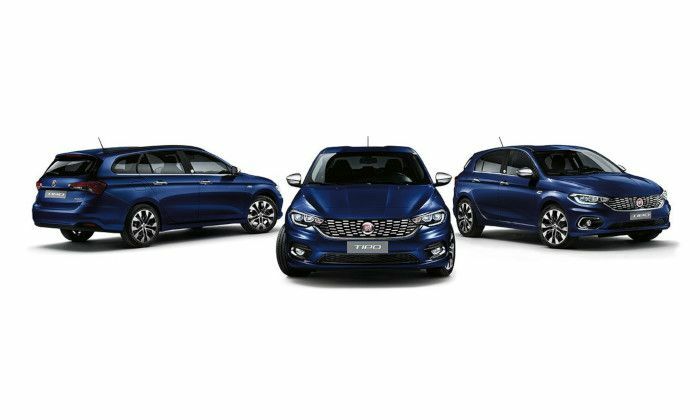 The Fiat Tipo in Italy is available with the following equipment levels: POP (€ 16,050*/€ 17.300**/€ 14,800***), STREET (€ 16,550*/€ 17,800**/€ 15,300***), EASY (€ 17,300*/€ 18,550**/€ 16,050***), EASY BUSINESS (€ 17,950*/€ 19,200**), MIRROR (€ 18,300*/€ 19,550**/€ 17,050***), LOUNGE (€ 18,800*/ /€ 17,550***), BUSINESS (€ 20,450*/€ 21,700**), S-DESIGN (€ 21,300*/€ 22,550**) and SPORT (€ 22,550*). 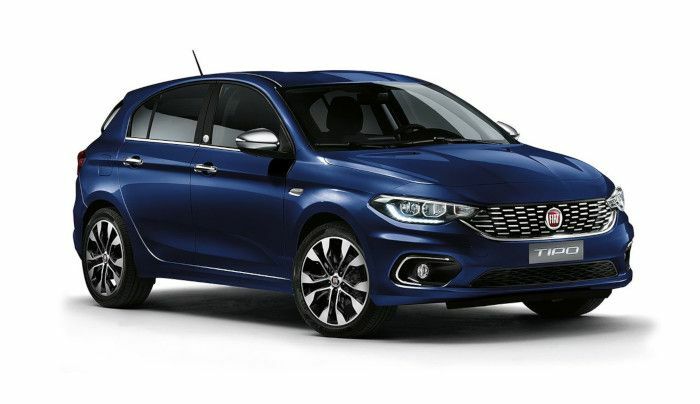 The Fiat Tipo in United Kingdom is available with the following equipment levels: EASY (£ 14,550*/£ 15,550**), STREET (£ 15,050*), EASY PLUS (£ 15,550*/£ 16,550**), LOUNGE (£ 16,860*/£ 17,860**), S-DESIGN (£ 18,860*/ £ 19,860**).